Royal Bank of Scotland (RBS) will hand out a £335m bonus pot to staff as it reports its second consecutive annual profit‎ since being rescued by taxpayers. 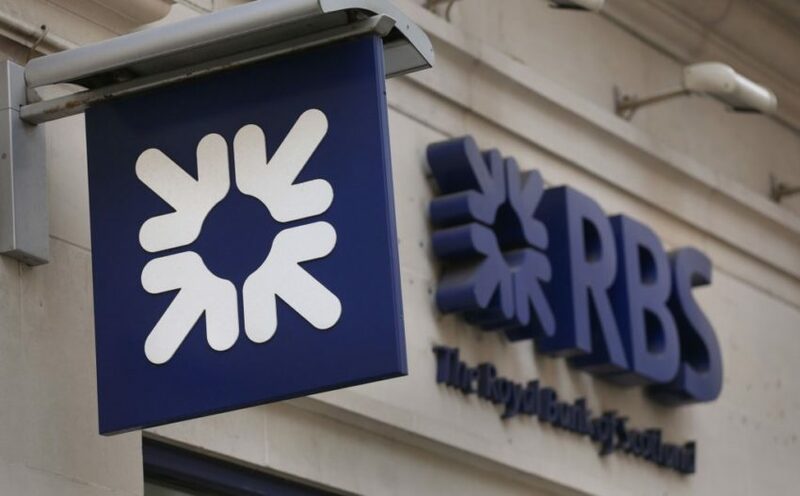 Sky News has learnt that RBS’s board and UK Government Investments (UKGI), which manages the public’s 62.4% stake in the bank, have agreed on the bonus pool. The payouts will be disc‎losed to the City alongside the lender’s full-year results next Friday. Sources said this weekend, though, that senior staff in RBS’s investment bank – recently renamed NatWest‎ Markets as part of the UK’s new ring-fencing regime – had expressed dissatisfaction with bonus awards for 2018. Analysts have forecast a significant improvement on 2017’s operating profit of £2.2bn and attributable profit of £752m, with RBS now saddled by fewer legacy impairment and litigation charges. Despite the improved financial performance, the state-backed bank’s bonus pool will be marginally lower than the £342m awarded last year for 2017, according to insiders.RBS has been a perennial back-marker on banking sector pay since its bailout, with overall bonuses far lower than the roughly £1.3bn handed out for 2009. Under former chief executive Fred Goodwin, whose fatal ambition of turning RBS into the world’s largest bank was briefly realised, lavish bonuses and expenses became commonplace. His successor, Stephen Hester, fought a long-running battle with George Osborne, the then Chancellor, to prune its investment banking operations in a more moderate way, but he was ousted at the Treasury’s behest in 2013. Since then, Ross McEwan, RBS’s current chief executive, has enjoyed a more conciliatory relationship with its largest shareholder. Mr McEwan has continued Mr Hester’s clean-up of the bank, reaching a landmark settlement last May with the US Department of Justice to pay nearly $5bn for mis-selling mortgage-backed securities. However, Mr McEwan remains troubled by reputational fallout from cases relating to RBS’s former turnaround unit, its Global Restructuring Group. Investigations commissioned by RBS and the City watchdog have failed to satisfy members of parliament’s group on fair business banking and other stakeholders. Philip Hammond, the Chancellor, said in last year’s Budget that the government aimed to sell its remaining RBS stake by 2024. People close to the Treasury and the bank have sought to pour cold water on a report by Bloomberg News that UKGI could sanction the sale of part of its stake after next week’s ‎results announcement. “Why would they sell now, when there’s no immediate pressure to do so and a no-deal Brexit ‎is acting as a massive overhang on bank stocks?” one ‎source said on Saturday. Mr McEwan has struck a consistently bearish stance on the ‎potential impact of a ‎chaotic departure from the EU, a position he is unlikely to change in the wake of the Bank of England’s decision to downgrade the UK’s economic growth forecast. This week, RBS investors approved a so-called directed buyback allowing the bank to use surplus capital to ‎acquire up to £1.5bn of the Government’s shareholding.